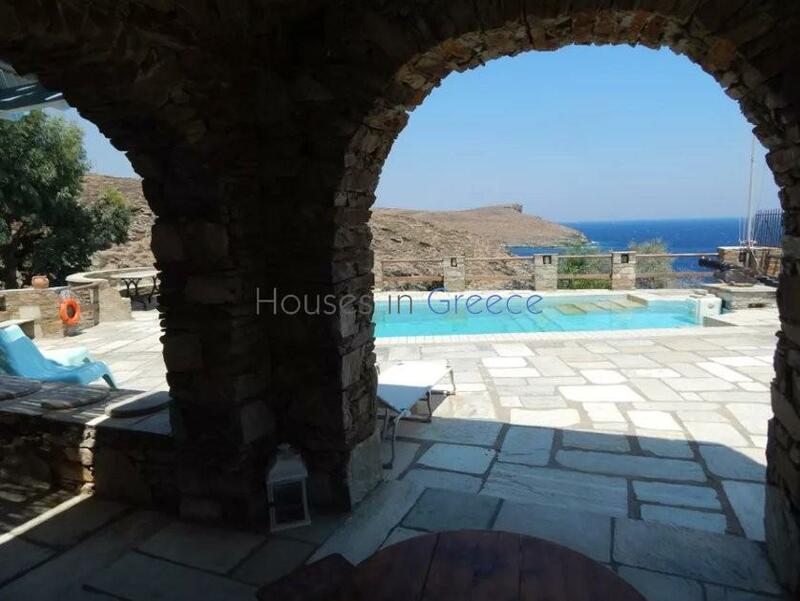 On the east side of Kythnos beautiful stone house with private pool for sale. 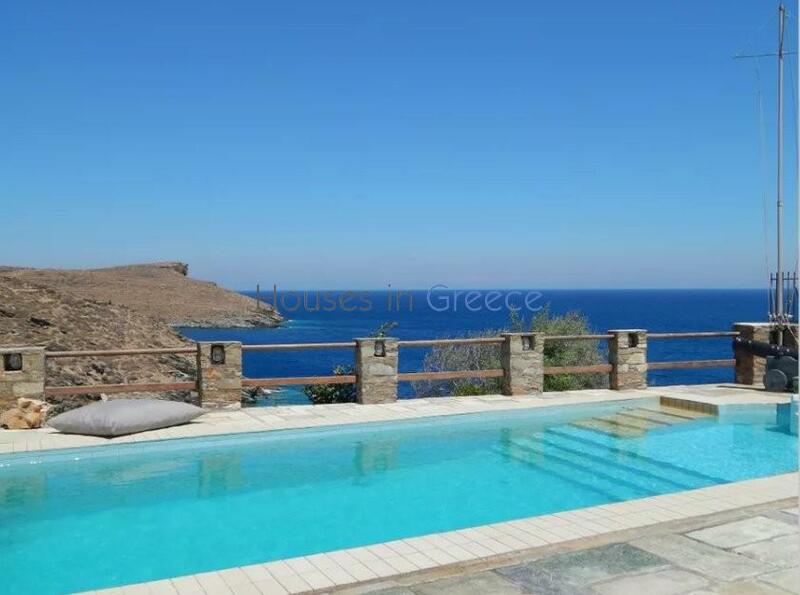 The house lies a few steps away from a secluded sandy bay and enjoys unlimited sea view and the sound of the waves. 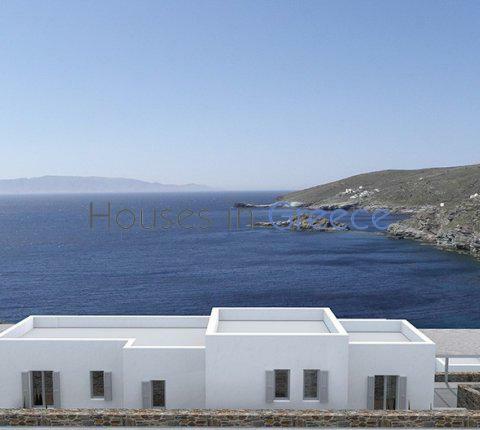 The total inhabitable surface is of 105 m2 on 2 floors. 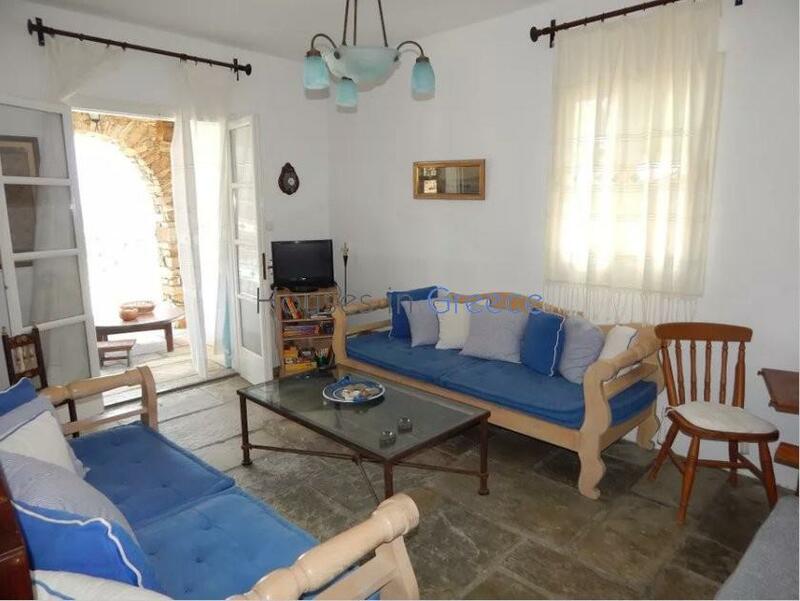 The ground floor features a living and dining room with fireplace, a kitchen and a WC. 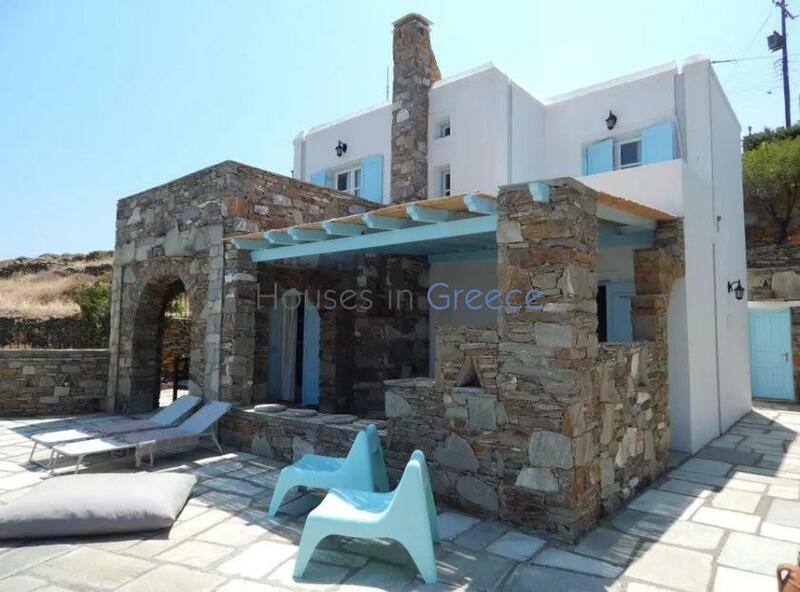 The doors open to the large outdoor areas and the pool with salt water and hydro-massage. 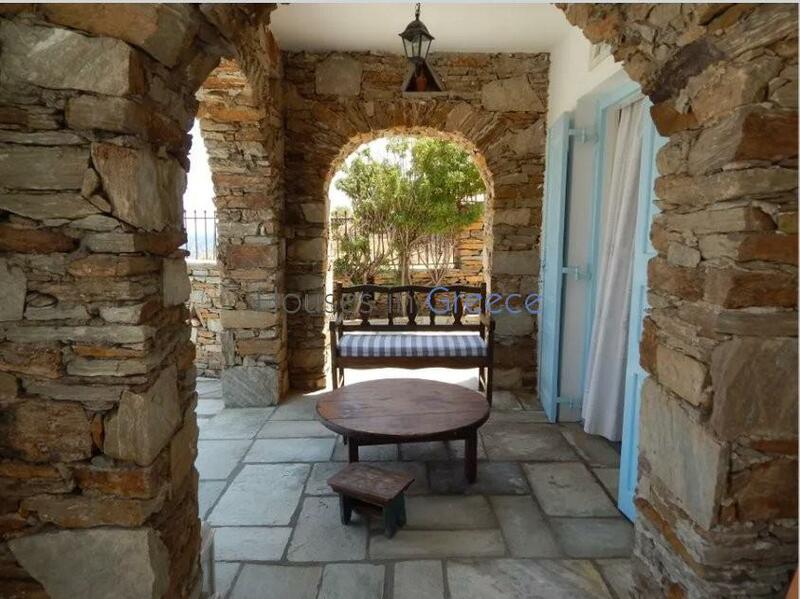 Here we have a barbecue, an external shower and many sitting arrangements to enjoy the views. 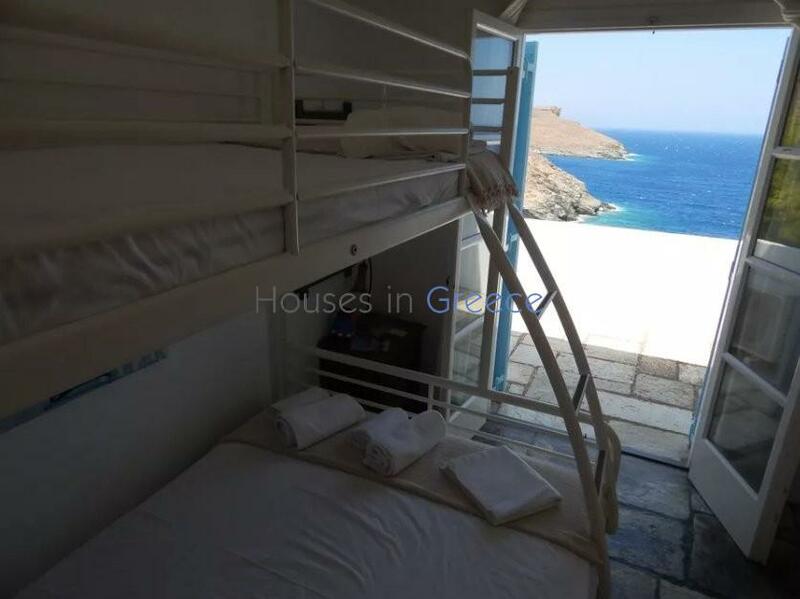 The first floor has 2 bathrooms and one bath with shower. 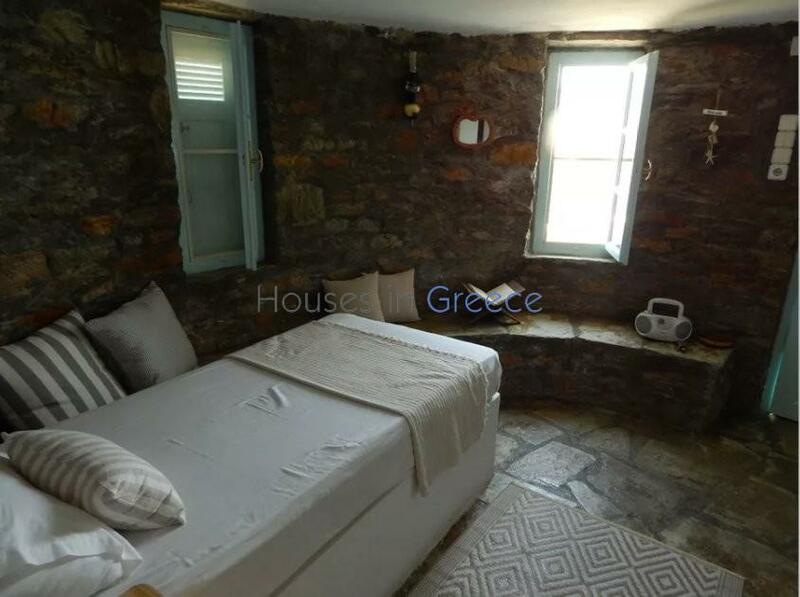 Below the pool is an independent guest house with living room, bedroom and a bath with shower. 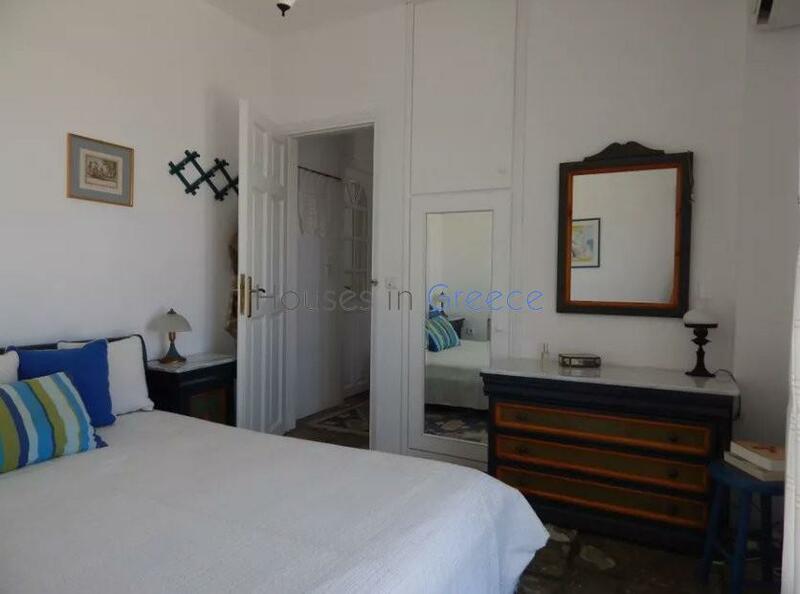 On the same plot we have 3 storage rooms, in the biggest is the laundry. 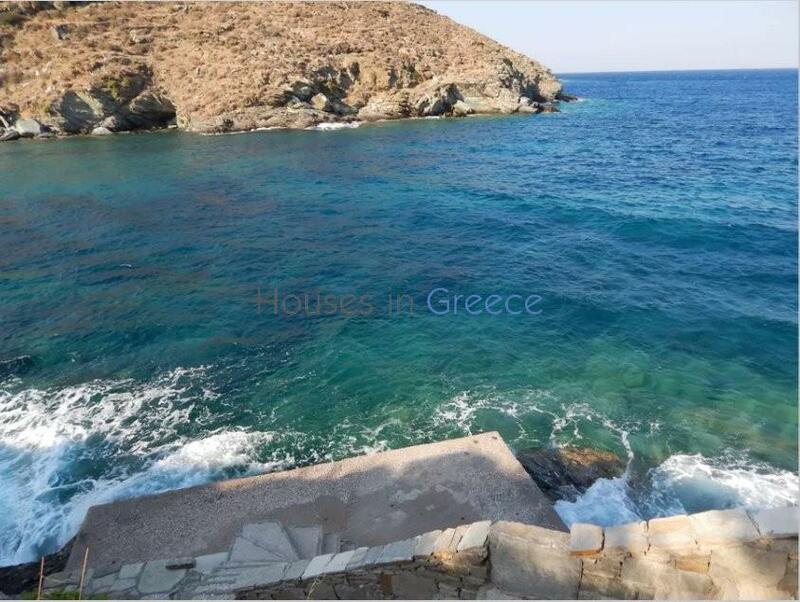 Just below the house there is a private jetty that gives the possibility of mooring a boat. 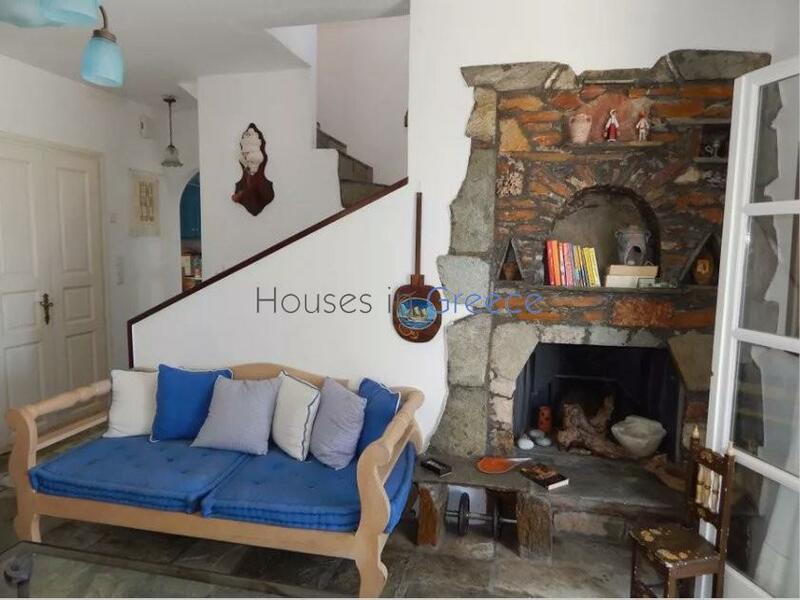 This house is by its location and qualities an absolute gem! 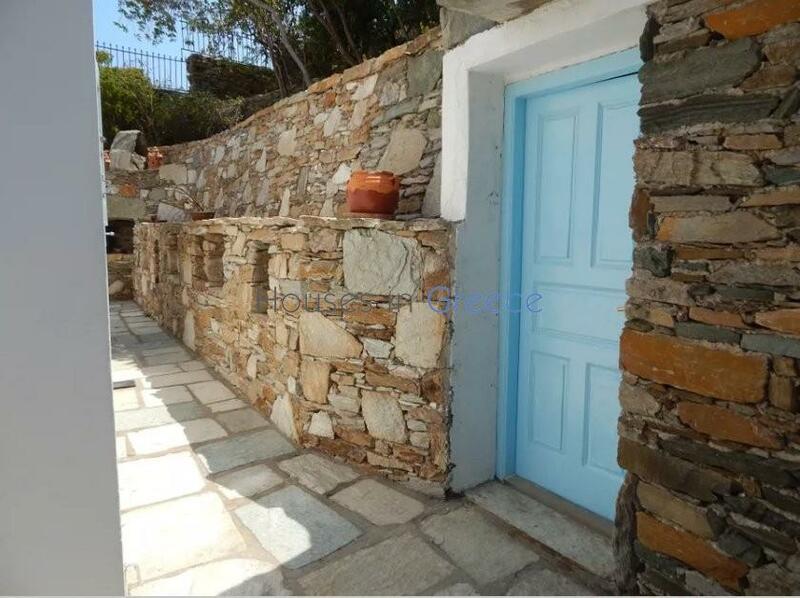 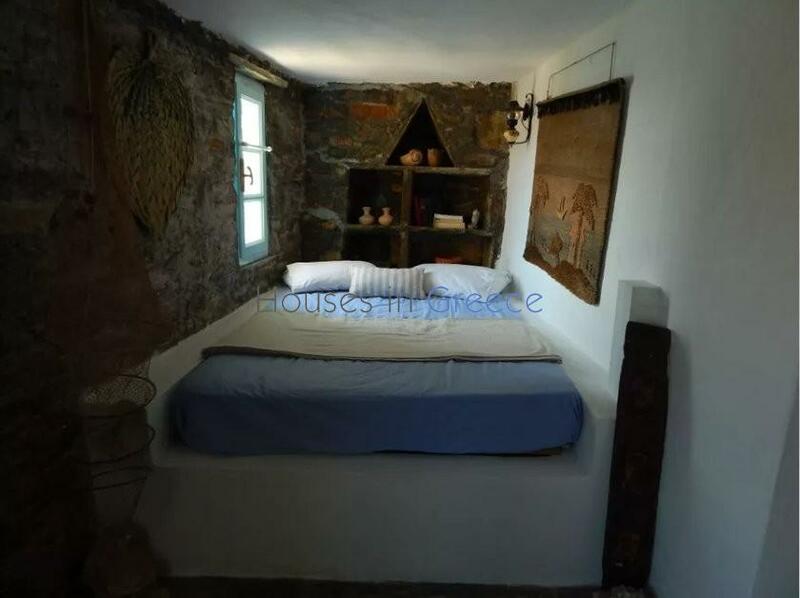 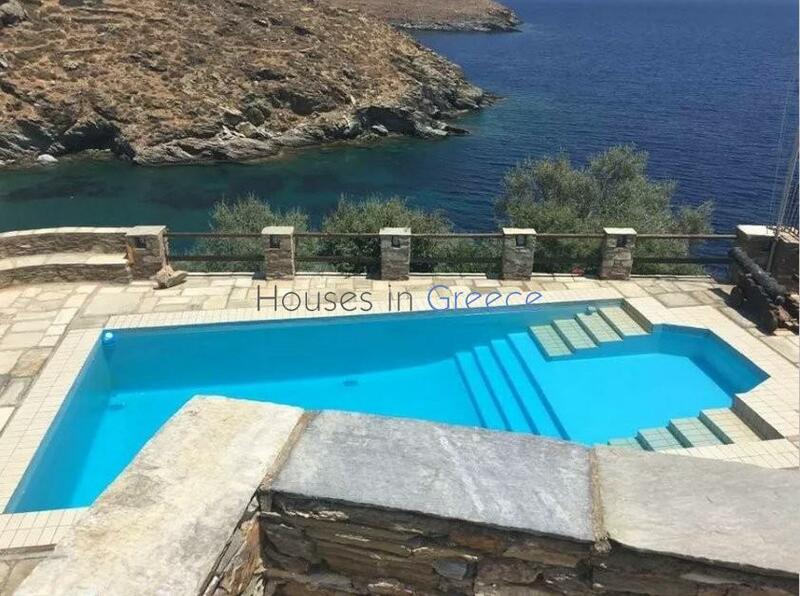 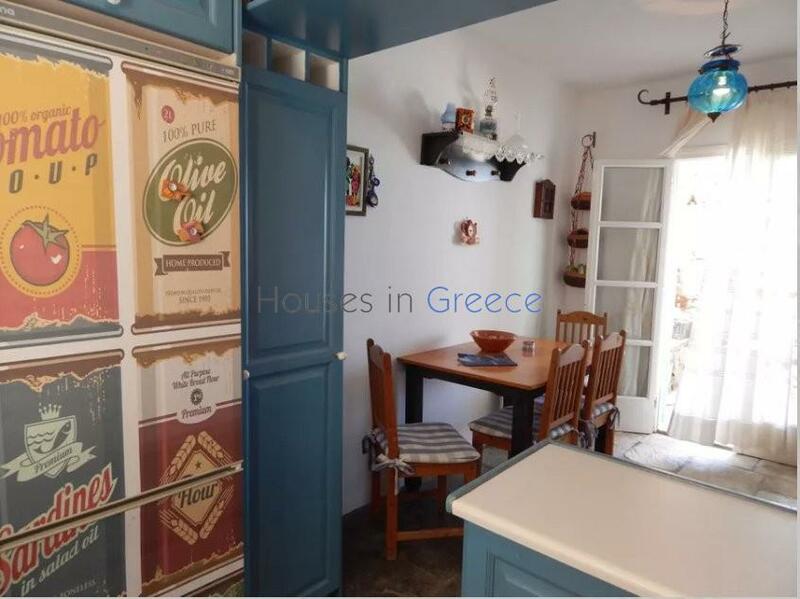 I am interested in property Kythnos, stone house with pool at the sea (Ref#: H-544).